We are honored to be featured in the Portuguese-American Journal, on an interview by poet Millicent Borges Accardi, focused on the history of Portuguese Heritage Publications of California: It’s inception, published works, management structure, operating principles and future objectives. Read the complete interview with PHPC’s current president Henrique Dinis on the Portuguese-American Journal. Portuguese Heritage Publications is a non-profit organization 501 c (3), created to research, preserve and disseminate for educational purposes, vanishing memories and current relevant events about the Portuguese presence in California. 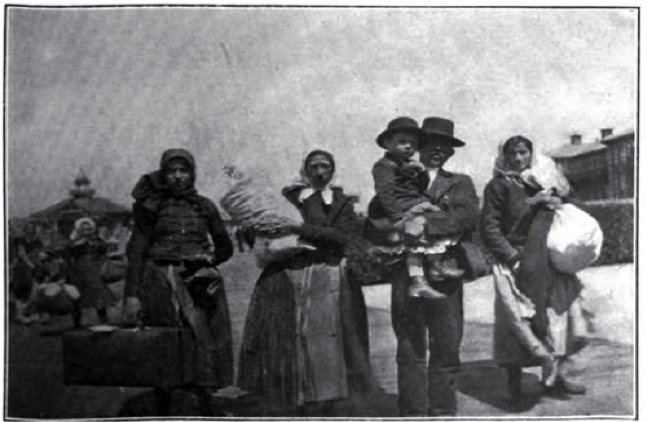 Portuguese Heritage Publications’ ongoing project “Immigrants Stories” has received wide acceptance by the Portuguese community in California, judging by the number of stories that we have received to-date. Because we continue to receive scripts of individual and family stories, we decided to extend the deadline for new scripts through the end of November 2014. There is one caveat, we are now looking for unique stories; stories that fall outside of the typical immigrant story; stories that don’t necessarily read like a standard individual biography; stories so outrageously real where the unexpected is just around the corner, that will keep reader’s interest and curiosity at high pitch level. If you have such a story, even if the script is not perfect (we have editors that can polish it up) don’t be shy, send it to us at: info@PortugueseBooks.org, or call (408) 272-1222, there is a very good change that your script will be included in our publication. If you rather contact someone at PHPC directly, please email Henrique Dinis at: henrique.dinis@comcast.net. or call 408-807-3235. Portuguese Heritage Publications of California was just notified by The International Latino Book Awards, that its recently published book: California’s Portuguese Politicians – A Century of Legislative Service, is one of the finalists in the category Best History Book. The awards ceremony will take place at the Clark County Library Theater in Las Vegas, on June 28th. 2014. California’s Portuguese Politicians, published by PHPC in partnership with Luso-American Foundation (FLAD), documents the many contributions of politicians of Portuguese descent in the State and National legislatures. From John G. Mattos, a first-generation immigrant from the island of Faial, elected to the California State Assembly in 1900, to David Valadão, a second generation Portuguese Californian elected to the US Congress in 2012, Portuguese-Californian immigrants have played a significant role in American politics in state and national legislatures. The author, Dr. Alvin Graves, thoughtfully introduces the reader to the pioneer Portuguese politicians from California’s San Joaquin Valley, by reflecting on their upbringing, their family lives, their civil service, their accomplishment and, for some, their pathway to Washington DC and the National Congress. We are thankful to our team of volunteers and to the author Dr. Alvin Graves, for once again rising to the call in the production of a this high quality publication both in terms of its content and luxurious edition. 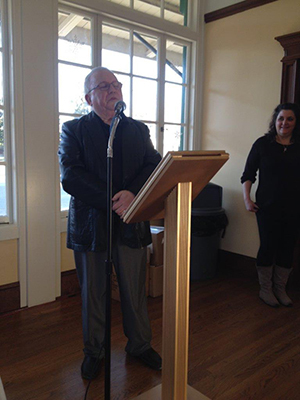 Kale Soup for the Soul, a literary group of Portuguese-American writers and poets, and Portuguese Heritage Publications of California, an all volunteer, non-profit community publisher, held a literary reading this past Sunday, January 19th., at the Pacific Hotel – History San Jose Park. Sam Pereira, from Los Banos, California. His books include: The Marriage of the Portuguese, Brittle Water, A Cafe in Boca. His most recent book, Dusting on Sunday (Tebot Bach) was released in December 2012. Ahmed Al-Sheikh, born in Saudi Arabia, to a Saudi father and an immigrant Portuguese mother from Corvo, Azores. His first novel, Lunen: Triblood, is self published in several ebook formats as well as print. Darrel Kastin, his books include the novel The Undiscovered Island, short story collection, The Conjurer & Other Azorean Tales, with two new novels: A Tale of the Azorean Nights, and Inês de Castro: Queen after Death forthcoming. He is also a musician and composer. Millicent Borges Accardi, author of three poetry books: Injuring Eternity, Woman on a Shaky Bridge, and Only More So (forthcoming). She lives in Los Angeles. Anthony Barcellos, grew up speaking Portuguese on his grandfather’s dairy farm in Porterville, and is the author of the novel Land of Milk and Money (Tagus Press). He is a math professor at American River College in Sacramento. Linette Escobar is a Portuguese-American Poet whose work has appeared in Babilonia, Sparkle and Blink, and the Santa Clara Review. She is working on a memoir about her experiences working in Thailand as a tsunami volunteer. She lives in San Francisco. Tony John Roma, immigrated to California in utero from the island of São Jorge. He grew up in San Leandro among the last great wave of Portuguese immigrants to the area. He graduated from Sacramento State, where he was a recipient of the Bazzanella Literary Award for short fiction. The poets shared from their published works, pieces at times pungent, painful, thought provoking and hard hitting; others mired in social sarcasm and humor but all full of that goose bump lyricism that only a sophisticated sensibility is capable of creating and poetic mastery enables its sharing. The writers read from their works of fiction and novel, keeping the audience on the edge of their seats throughout the entire event. At the end of the presentations, the authors answered questions from the audience and signed their books. Following the readings, all participants partook of an abundant service of appetizers and wine, while mingling and socializing with friends and acquaintances. The event was open to the public, free of charge. Portuguese Heritage Publications of California, an all volunteer, non-profit community publisher is thankful for the opportunity to introduce to the Portuguese community these Portuguese-American writers, well know by American readers, but not necessarily so by the Portuguese-American community at large. Those interested in acquiring the literary works of these authors may do so at Amazon.com. From its inception, Portuguese Heritage Publications of California was fortunate enough to have received the enthusiastic support and encouragement of August Mark Vaz to go forward with its Mission to research, preserve and disseminate vanishing memories and relevant historic events about the Portuguese presence in California. When asked to collaborate on our first publication The Holy Ghost Festas – A Historic Perspective of the Portuguese in California, he replied with a generous and resounding “definitely”! August Mark Vaz was a pioneer in California Portuguese historiography. His book The Portuguese in California, published in 1965, is still recognized today as a most valuable reference for the history of the Portuguese immigrant experience in California. His passing on September 12, 2013, leaves a recognizable void within the Portuguese-American literary community, as well as the community at large. Portuguese Heritage Publications of California is most grateful for August Mark Vaz generous contribution, enthusiastic support and friendship. We extend our sincere condolences to his family. Paz á sua alma (May his soul rest in peace). Portuguese Heritage Publications of California, Inc.